Woke up early and checked out of the hotel. Met Sneery and his friend Ming in the lobby. Headed out to Shinjuku to grab some food. 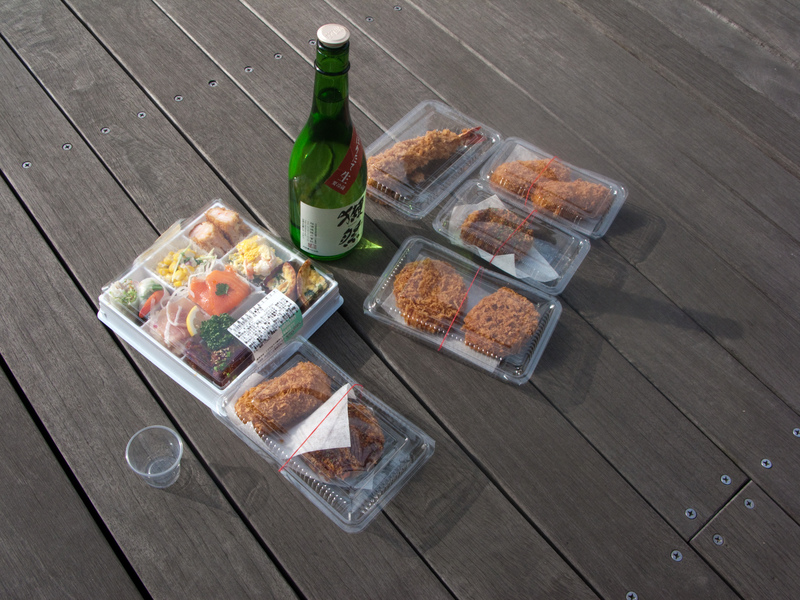 The plan was to scout out the basement food shop at the Isaten department store and eat at the park on their roof. 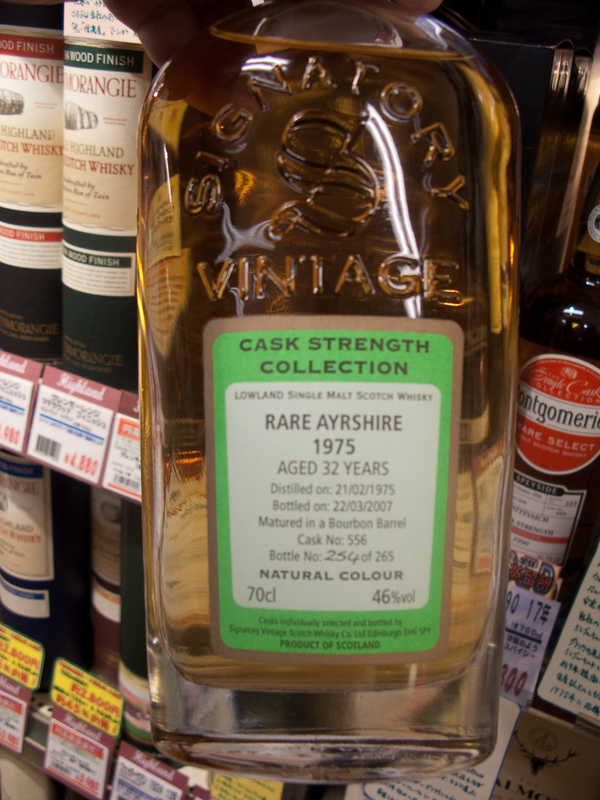 I also wanted to check out their whisky selection. We got there a bit early so went for some coffee to wait until they were open. I got several croquettes (Okonomi, Imo, Ebi, Kani) and one big Ebi Fry. We picked up a bottle of sake and went up to the roof to enjoy the fruits of our hunt. We wandered around Shinjuku for a while. We saw some guy taking what looked like a small dog out for a walk but I did a double take when I realized it was a spider monkey. We ran across the local franchise of my favorite Mongolian Hot Pot restaurant, Little Sheep. 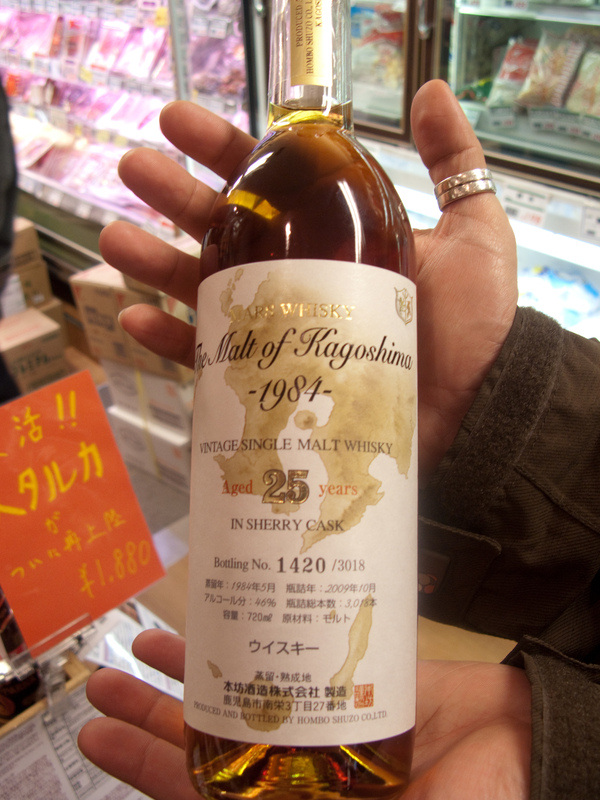 We found a really great liquor store with an amazing selection of rare whisky called Shinanoya. I got back to the hotel, grabbed my bags and hit the train for Yokohama. 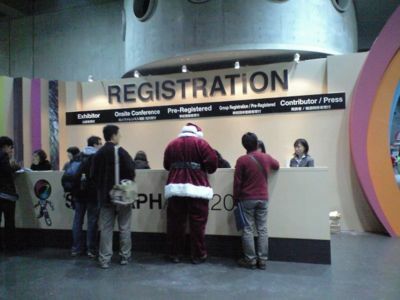 I put on my Santa suit and registered for SIGGRAPH. Hooked up with Oyabun Santa, Santa Maki and Baby Santa Juno. 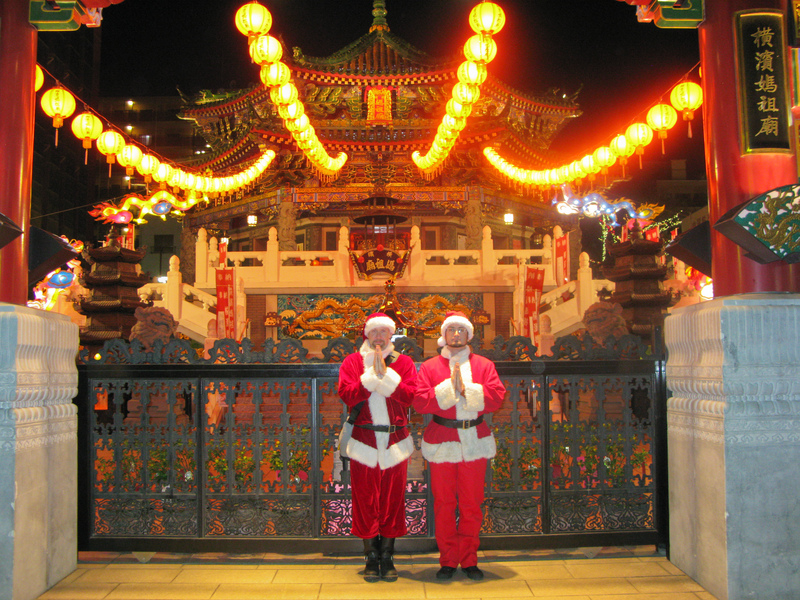 Got back to the hotel, linked up with Santa Michael and wandered around Yokohama’s china town looking for some dinner and damn if we didn’t find it. We ended up at this place called “To Ki” or “Toki” and had some of the best noodles ever. It’s a style from the Shanxi province of China called dao-Xiao-mein. At Toki, Chef Wang uses a large chunk of freshly kneaded wheat flour dough and hand shaves flat strips of raw noodle dough into a big wok of boiling water. The cooked noodles have a rough and chewy texture with a very unique fresh wheat taste. We also tried their delicious Mabo Tofu and a spicy Salt & Pepper shrimp dish, similar to what I’ve had before but this was probably the best version I’ve every had. Simply outstanding. Stopped off at the combini to get some desert. Picked up some Sweet Potato flavor haagen-daaz ice cream and hit the sack pretty hard.